This particular 2002 concert was recorded during a fruitful period in the history of Belle and Sebastian, as the band increased their worldwide popularity, signed to Rough Trade, and released the soundtrack to Storytelling. This concert was recorded by longtime NYC taper “xcxre9” who offered his DAT master to nyctaper for release. It was captured from the first row of the first mezz at Hammerstein and the sound quality is excellent. Enjoy! This concert will only be offered in flac. 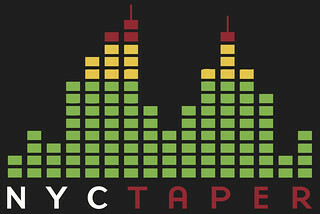 If you email nyctaper for access to this recording, we expect that you will PLEASE SUPPORT Belle and Sebastian, visit their website, and purchase their official releases from the Store at their website [here].